When the widely circulated San Francisco Business Times issues its annual Book of Lists, cities around the Bay have a unique opportunity to see a cross-section of how they fit in the larger San Francisco Bay business community. 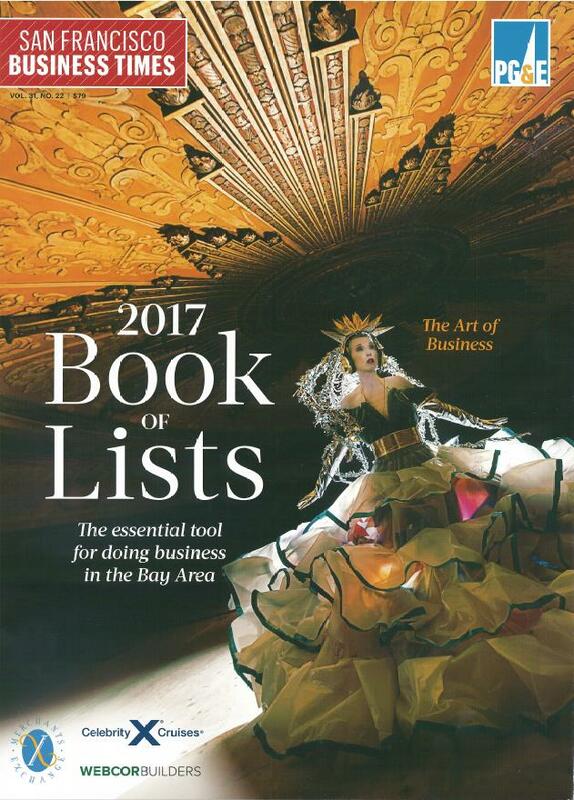 The lists, ranging from 25 to 100 businesses, represent the most prolific, successful, and visible businesses in the Greater Bay Area and this year, 12 San Leandro businesses are represented in 13 of the 165 categories. In the past year, Sausal Corporation has climbed in rank from 58th to 55th among Greater Bay Area commercial contractors. Of the largest electrical contractors in the Bay Area, St. Francis Electric, Inc. has risen from 9th to 7th and Brayer Electric Company has climbed from 15th to 13th. Previously, the Gate ranked 15th among the largest incubators and accelerators. This year, they have advanced to the 9th spot. TriNet Group, Inc. has also grown to the 47th largest Bay Area public company from last year’s ranking at 54th. OSISoft, LLC has also risen in rank, from the 43rd to the 39th largest Bay Area private company, and from the 12th to the 10th largest family-owned business. OSISoft is also the 33rd largest software company in the Greater Bay Area. Our local breweries are also doing quite well. Drake’s Brewing Company moved up one slot to the 7th largest brewery in the Greater Bay Area. On the same list, 21st Amendment Brewery moved up three slots to the 3rd largest brewery, while simultaneously ranking 19th as a food and beverage manufacturer, up one spot from last year. American Packaging is the 25th largest Bay Area woman-owned business and the Regional Center of the East Bay, Inc. is the 4th largest Bay Area nonprofit organization, providing services for those with developmental disabilities. Royal Ambulance, Inc. remains one of the best mid-size businesses for which to work, having climbed from a 12th ranking to 8th. The take-away from this snapshot is that San Leandro is continuing to cement its position as a business and industry hot-spot in the Bay Area. Our heartfelt congratulations go out to all of the San Leandro businesses for their great success that earned them these impressive rankings.